Berberine is an alkaloid. Plants such as Oregon grape, goldenseal, barberry, and golden-thread contain berberine. People have used berberine as a form of natural medicine in India and China for hundreds of years. Berberine is such an important nutrient that if you’re deficient, you may face serious health complications. These include poor blood sugar regulation, high cholesterol and poor vision (x). Berberine helps relieve diarrhea, lower high blood pressure, and more. So, should you supplement your diet with this alkaloid? 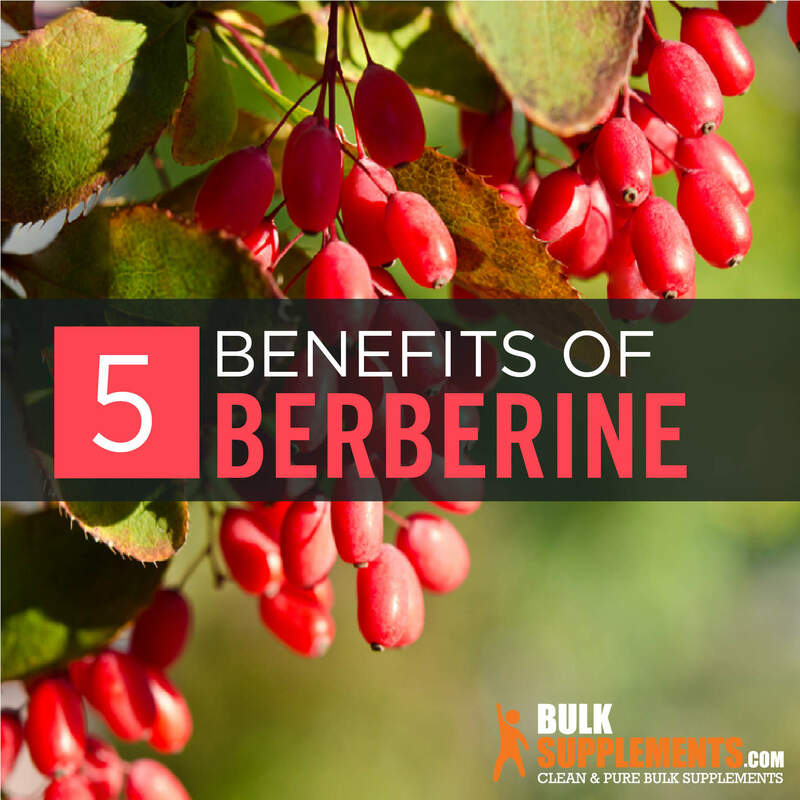 Read on to learn more about how berberine benefits your overall health. Studies have shown that berberine lowers glucose levels in people with diabetes. Scientists believe it helps regulate blood sugar by reducing how much glucose the liver produces (x). In one study, diabetic patients took a 500 mg berberine supplement twice daily. The supplements controlled blood sugar levels as effectively as rosiglitazone and metformin (x). If you have diabetes, don’t immediately stop taking your prescribed diabetic medication and replace it with berberine–talk to your doctor first to see if berberine is right for you. If you have a burn, try applying berberine topically to relieve pain and prevent infection. Doctors often prescribe burn ointments containing berberine or pure liquid berberine paired with beta-sitosterol to treat 2nd-degree burns. This treatment is as effective as silver sulfadiazine, a common burn ointment (x). Berberine sulfate works as an anti-diarrheal in people suffering from various bacterial infections (x). In fact, berberine supplements may even be more effective than traditional treatments. They’ve shown promising results in the treatment of leaky gut syndrome, and also inhibit the growth of unhealthy bacteria in the intestines (x). If you suffer from high cholesterol, a berberine supplement could help. Berberine benefits your heart health by lowering cholesterol levels. A twice-daily dose of 500 mg of berberine lowered “bad” (LDL) cholesterol in as little as three months (x). In a series of 11 trials studying 800 people, berberine also increased “good” cholesterol (HDL), and significantly reduced triglycerides (x). Some research has shown that taking berberine supplements can reduce symptoms in patients with heart failure. Studies also showed a significant reduction in fatalities in those suffering from congestive heart failure (x). Berberine can also restore blood flow to the heart following a stroke (x). Glaucoma is a disease which causes fluid build-up in the front part of the eye. This can lead to damage of the optic nerve and ultimately, blindness if left untreated. For people who suffer from glaucoma, eye pressure is a constant issue. Berberine could help; eye drops containing tetrahydrozoline and berberine relieve the pressure associated with glaucoma after a minimum of three days (x). Trachoma is a severe, contagious bacterial eye infection that thrives in conditions where there is insufficient clean water and poor sanitation. Common in developing countries, it’s a leading cause of blindness worldwide. Studies suggest that berberine could help to treat trachoma, potentially preventing blindness (x). Battling the bulge? Add a berberine supplement to your diet! In one study, obese patients lost weight when they took berberine supplements on a regular basis for a minimum of three months (x). Berberine helps control leptin levels in people with metabolic syndrome, which reduces hunger and helps control weight (x). Berberine supplements may also inhibit the production of fat cells (x). Women suffering from polycystic ovary syndrome (PCOS) can also benefit from a berberine supplement. It helps control testosterone levels, reduce blood sugar and improve the waist-to-hip ratio in women who suffer from the disease (x). Berberine paired with vitamin K and vitamin D3 could help to reduce bone loss in women with osteoporosis. However, while daily supplements can reduce the effects of the disease, they can’t reverse existing bone loss (x). Berberine extract powder contains a high concentration of beneficial compounds. As a dietary supplement, take 500 mg (rounded 1/4 tsp) twice daily, or as directed by your physician. 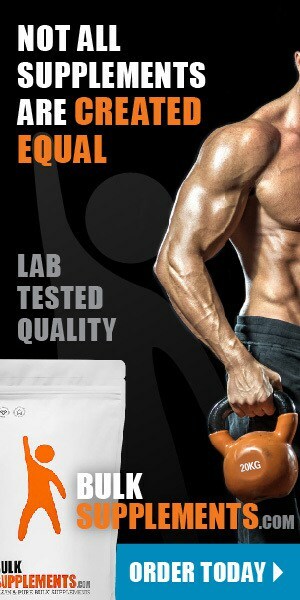 Do not use for more than 3 months without a doctor’s approval. You can mix berberine powder into the juice, smoothie, or drink of your choice. BulkSupplements’ berberine HCL powder is derived from the bark of the Phellodendron amurense, or Amur cork tree. Much like turmeric, this powder is bright yellow and may stain both fabrics and surfaces. If it does stain, quickly treat the garment or surface with a white vinegar solution or baking soda. Berberine is generally safe for adults when taken for short periods of time. You can take it orally or apply it topically. Berberine is not safe for newborns and infants, as it may cause brain damage (x). Pregnant women and those who are breastfeeding should not take berberine. Berberine lowers blood sugar levels, so those taking medication or insulin to control their illness should be aware of possible interactions (x). Talk to your doctor before taking berberine if you suffer from diabetes. Berberine lowers blood pressure. Those already suffering from low blood pressure or taking blood pressure medication should talk to a doctor before taking berberine (x). People taking cyclosporine should not take berberine (x). The body naturally breaks down cyclosporine, but berberine inhibits this response, which can lead to complications. Berberine also interferes with the absorption of tetracycline and related antibiotics. Berberine affects how the liver functions. As a result, it may negatively interact with any medication processed by the liver. Speak to a medical professional before taking berberine if you are taking any medicine that is changed by the liver (such as cyclosporin, lovastatin, clarithromycin, indinavir, or sildenafil triazolam) (x). Berberine could aid in weight loss, manage blood sugar, keep your eyes and heart healthy, and more. You can take berberine in its natural form by adding barberry root or bark or goldenseal to your meals. Berberine is also available in supplements. A staple in natural medicine, berberine contributes to overall health and wellness.